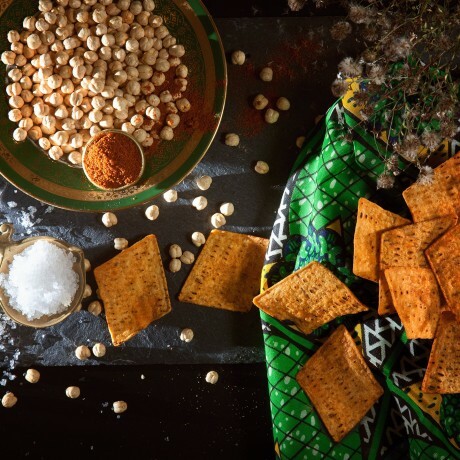 In West Africa chickpeas are a versatile, nutritious, staple often used in soups and stews. Given a unique twist, Chika has turned a protein packed pea into a light and crunchy snack. The combination of paprika and chilli creates an intense flavour of smokiness and heat. The delicious result is a strongly piquant crisp with an intoxicating aroma evocative of the cooking fires of West Africa. Chika's. An adventure taste awaits.